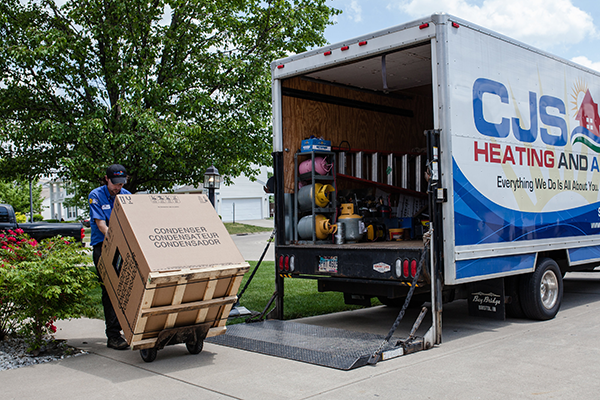 CJS Heating & Air Conditioning provides a seamless AC installation process in Springfield. We provide AC systems from trusted manufacturers. Remember, poorly installed AC systems will cost you money in the long run. We protect your investment with expert installation complying with factory specs. Our clean, screened, trained and timely CJS Air Conditioning Installation technicians make sure that your new air conditioning system is appropriately sized to match your home’s specific needs, and installed so you can count on its performance for years to come. Because, the most important day in the life of your air conditioner is the day it’s installed. CJS specializes in getting more years from Springfield air conditioning systems. Routine maintenance extends your system’s lifespan and helps it continue working at peak efficiency. Scheduling annual maintenance with CJS allows us to fully inspect and clean your system, make recommendations for small repairs before they turn into expensive problems. That’s how we help keep Springfield Air Conditioning systems running longer.